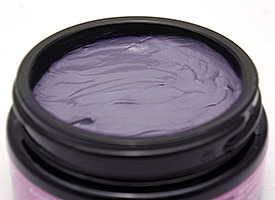 Amethyst clay absorbs impurities and detoxifies without removing natural oils. Provides gentle resurfacing exfoliation and helps leave skin feeling smoother, brighter, and softer. With Vitamin C rich Kakadu Plum, Tasmanian Pepper Berry, Lilly Pilly and Muntari Berry. Based on a sponsored 2 week study of 35 female volunteers ages 24-61. Apply a generous layer to clean, dry skin. Leave on for 15 minutes. Rinse thoroughly with warm water, and pat dry. Use three times a week.